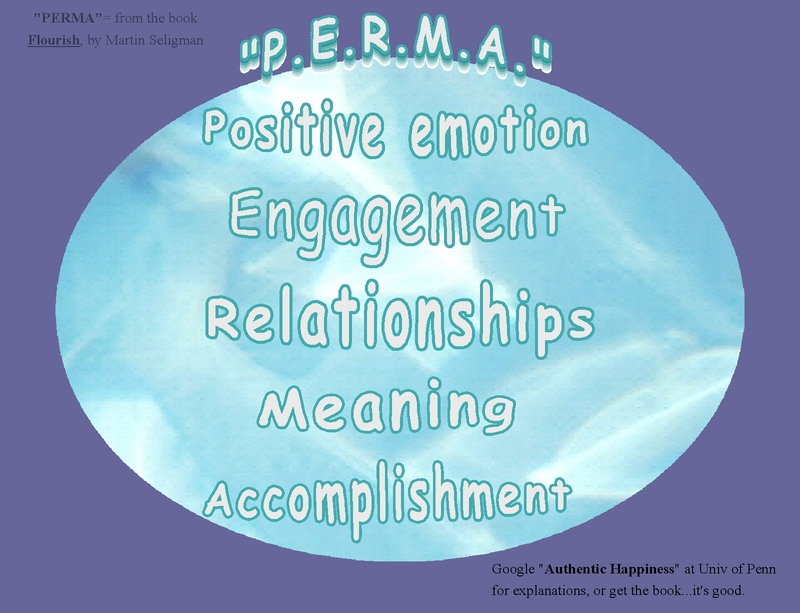 about what “being happy” may involve? it seems to involve an ongoing sense of “well being” or “contentment”. 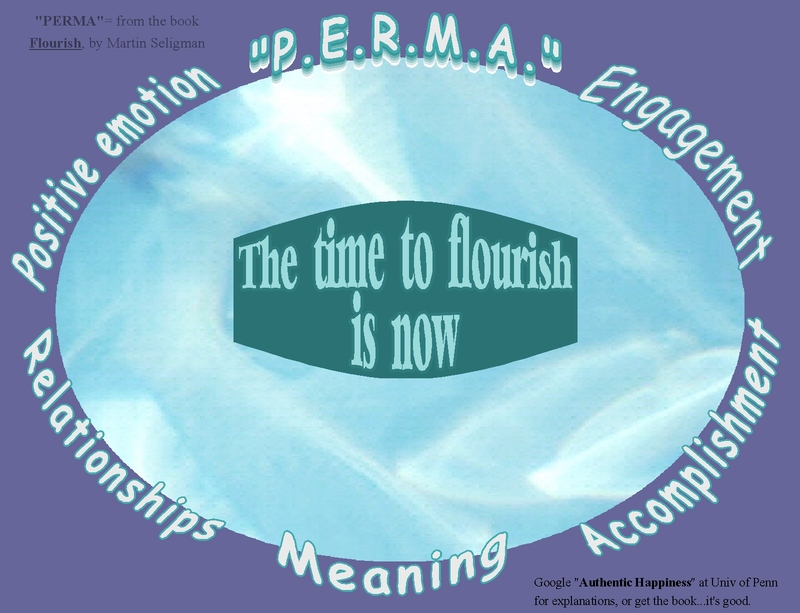 Martin Seligman, the author of the book Flourish, uses the word “flourish,” instead of the word “happiness.” He writes that, in his opinion, the develop-able components that contribute to “flourishing” are represented in the acronym, PERMA. This post is part of “Nurturing Thursday,” hosted at Becca Given’s blog, On Dragonfly Wings with Buttercup Tea. 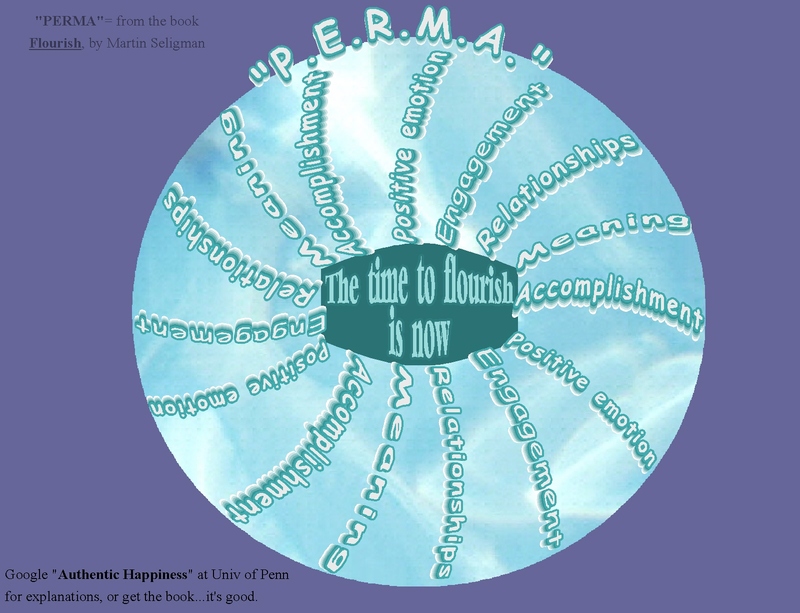 Please stop by Becca’s blog to view her post and to link into today’s “Nurturing Thursday” posts by other nurturing bloggers… they’re all VERY special! 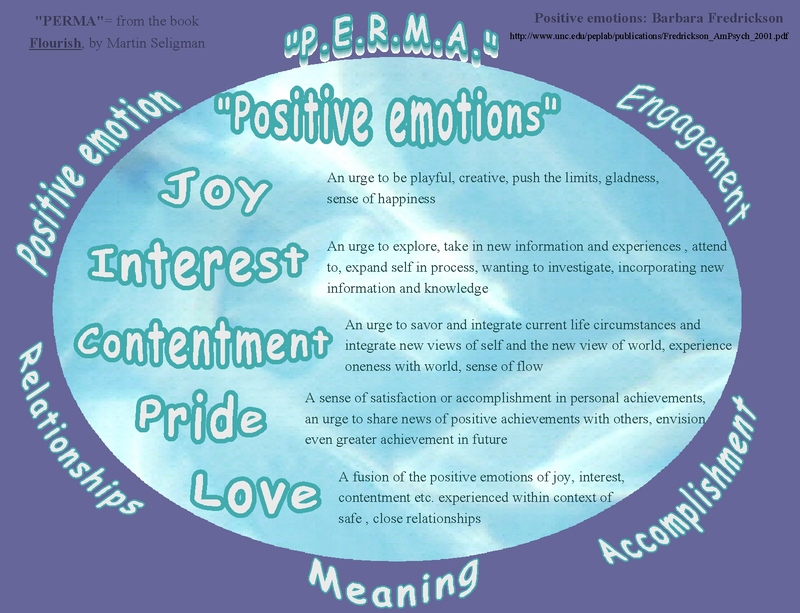 Combinations of those ideas…PERMA, Positivity, Positive Emotions…. 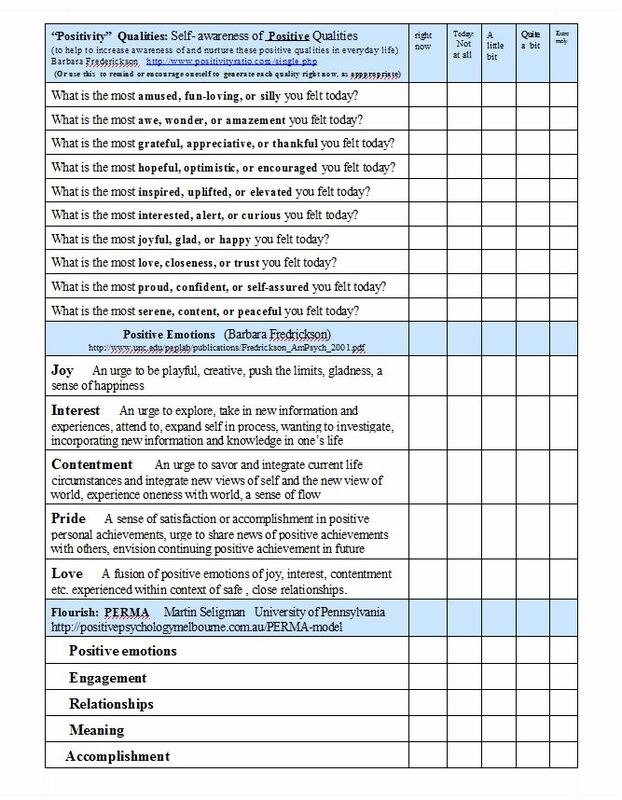 put together into “chart form” by Kathy….I created this chart and additional “pages” to use, reflect upon, become more aware about and to nurture living more richly and fully, with the qualities on that page….. 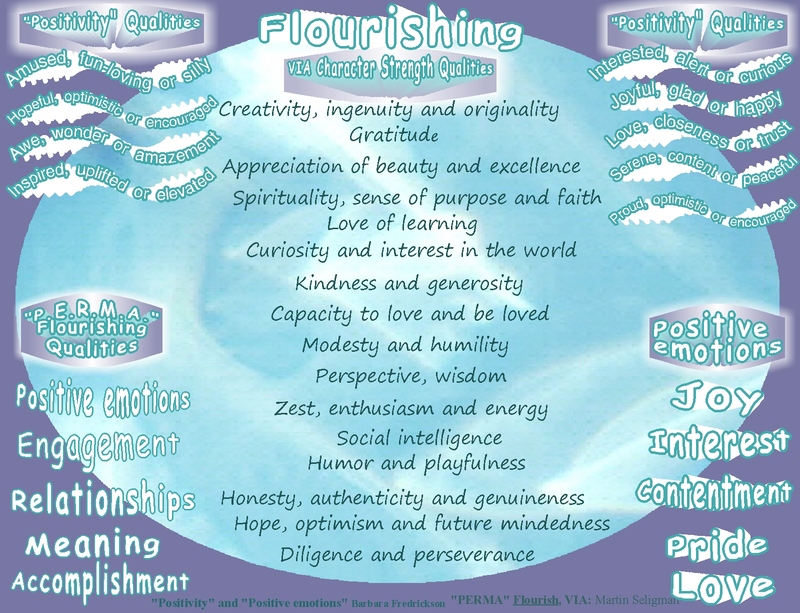 I created and am using this page for becoming more aware of and nurturing these qualities in myself, in my everyday life….. The other VIA Character Strengths qualities, below, that I haven’t developed quite as much… but which might/would probably benefit from being nurtured, too. At first, I just decided to leave these qualities OFF the page…but then tried to get a bit more “open minded” and thought perhaps I’d add them…and consider nurturing them, too…. 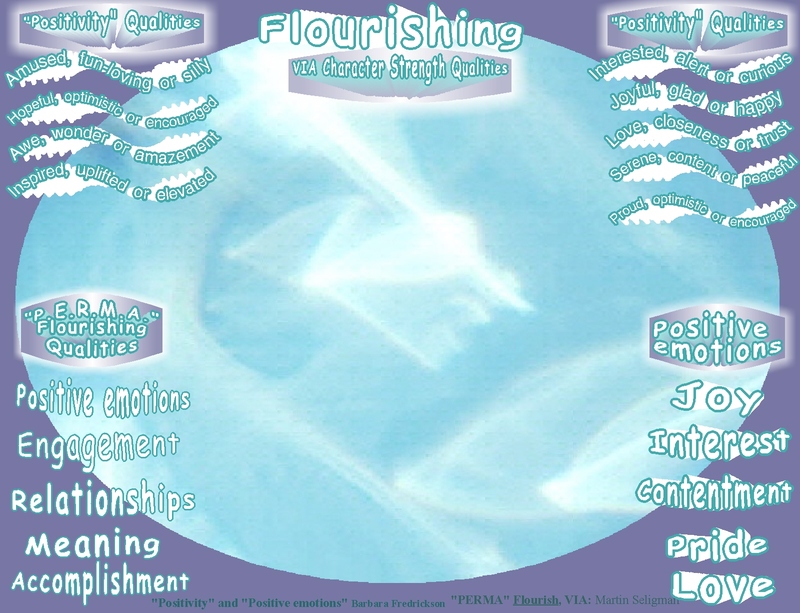 This entry was posted in Flourish, Happiness, Life, Personal growth and tagged Appreciation, Encouragement, Flourish, Happiness, Inspiration, Life, Loving kindness, Mindfulness, Six Perfections, Spirituality, Wisdom. Bookmark the permalink. 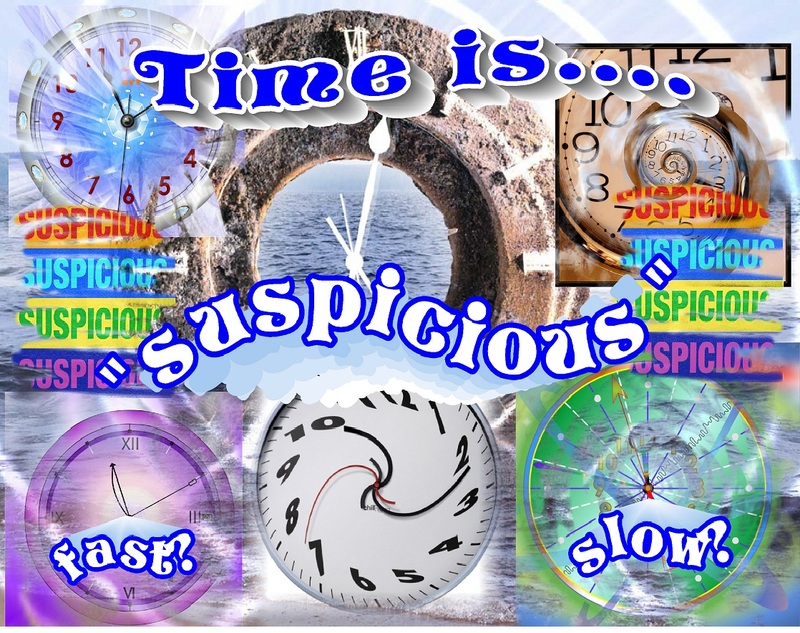 “time is suspicious”. I like that. 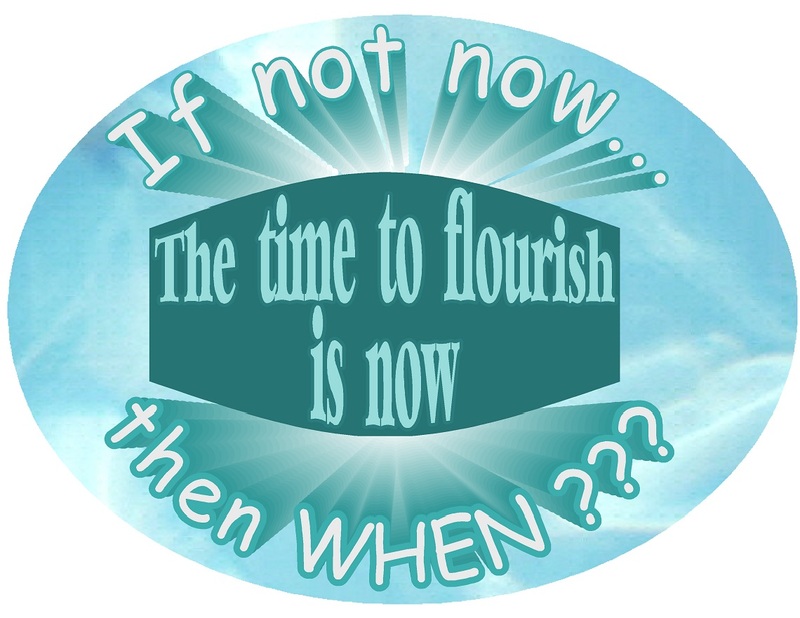 Flourishing, today, in Ecuador with Kathy over at Reinventing the Event Horizon. Oh Joss…how wonderful that you’re in Ecuador! and joining Kathy! 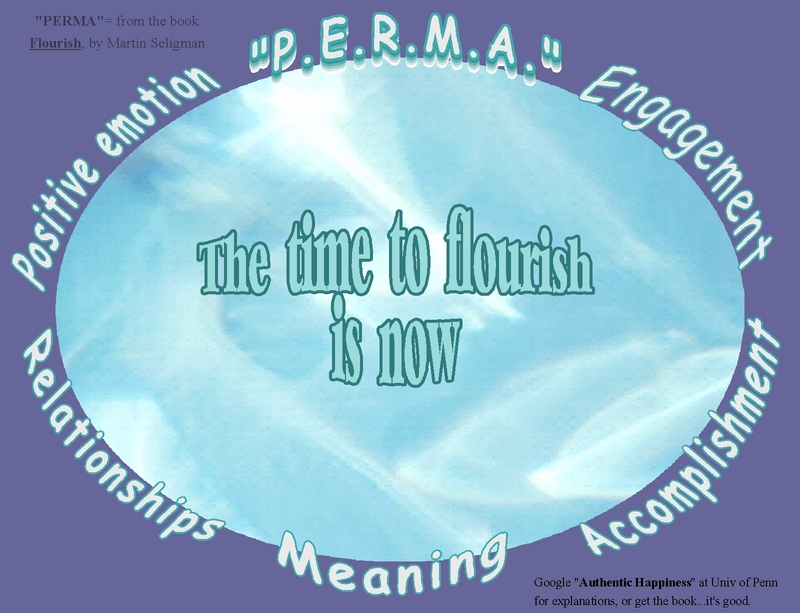 ….sounds like you’re in the midst of living a life with “flourish” and PERMA! Will you do workshops on creating delightful paintings on furniture? I will be taking that workshop from Kathy soon as I can, you betcha! Your images are wonderful. 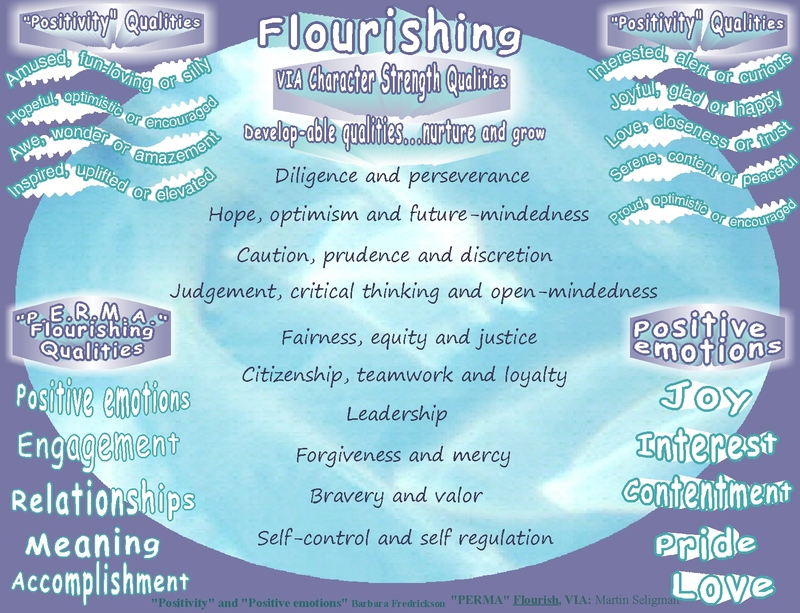 Yes, flourish sounds a lot better than happiness. People feel more pressure to be happy. 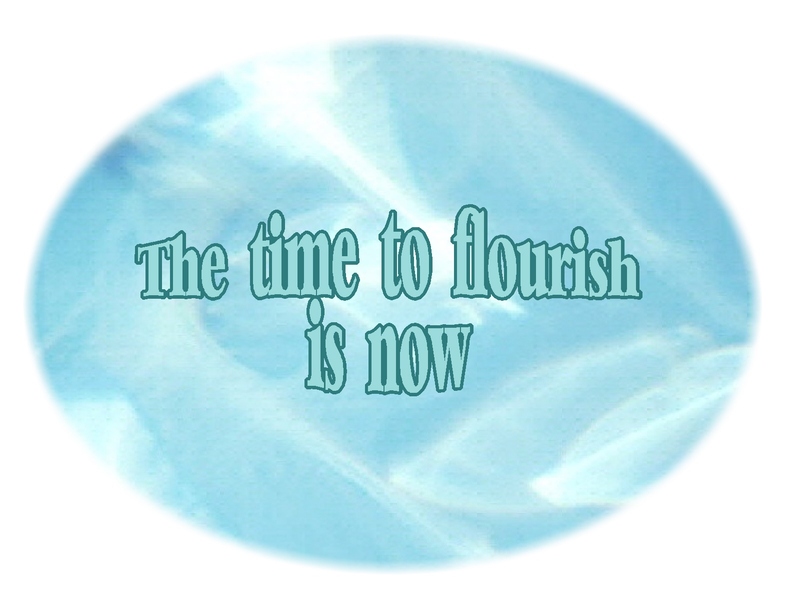 But, flourish means growth which we all do everyday. I will strive to flourish. Oh, Robin, I LOVE thinking about and reading about TIME…. it’s amazing how much we attribute to and embellish the idea of “time”…and I think our ideas about, and perception of, time are definitely suspicious! P.S. 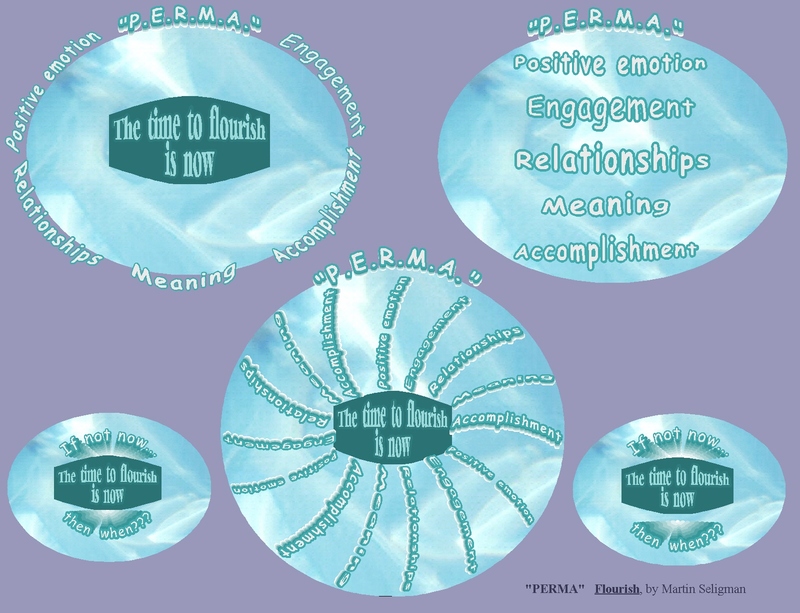 I answered the PERMA questions and it gave me a pretty accurate number on the 5 basic dimensions of flourishing. It helps me to see where I need ‘work’. Thanks for sharing! Hi Mare, I’m so happy it was helpful.. I like the simplicity and “use-ability” of the ideas. I put the PERMA and VIA ideas together into some visual pages, along with some other idea. 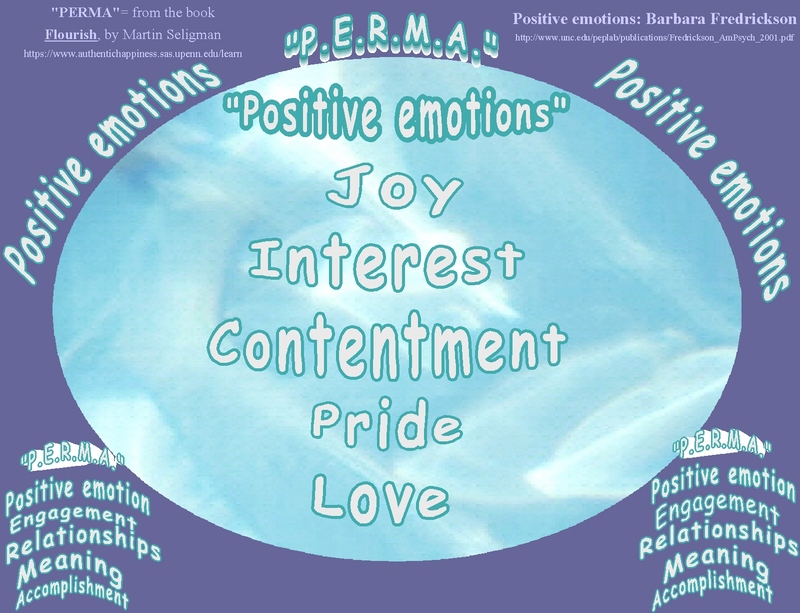 I’ll add the combination pages of PERMA, my own VIA results and some Barbara Fredricson ideas about positive emotions and life qualities…I love the ideas! I’m keeping that page near me to refer to and reflect upon…qualities to notice and nurture! Pingback: Nurturing Thursday – Fly | "On Dragonfly Wings with Buttercup Tea"
Thank you Kathy! I am going to take more tests; it’s a good aid for self-inquiry.